$65/adult, $15/kids 7-12, 6 & under eat for free. Serving Hotel-Style Sunday Brunch featuring classic breakfast fare, Chef prepared omelets & waffles and Shaw's specialties. Save room for the decadent sweet table! $65/adult, $15/kids 7-12, 6 & under eat for free. 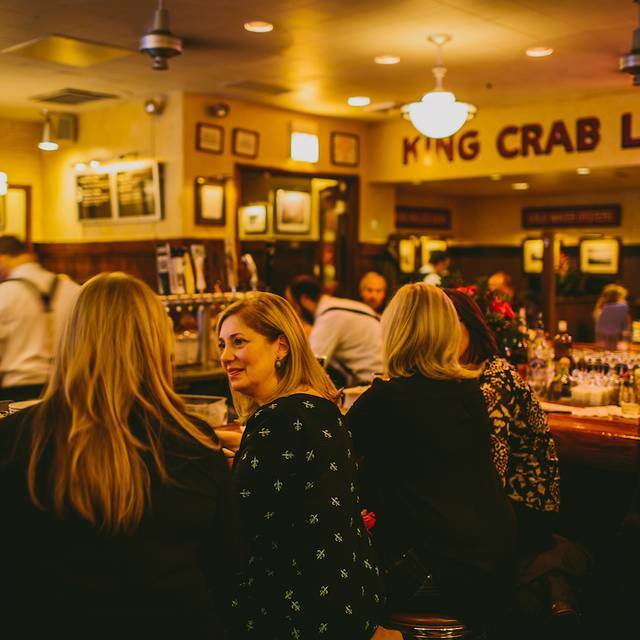 Big and Bustling, Shaw's Crab House stands as a monument to fish and seafood. 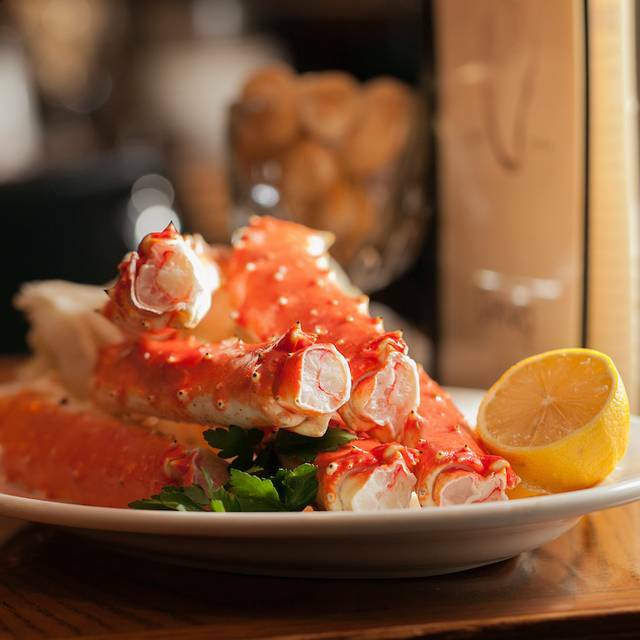 Besides the usual popular dishes, Shaw's management team is passionate about presenting treats such as Pacific salmon, fresh king crab, and smelt during their short seasons. Reservations made through Open Table will be for Shaw's Main Dining Room. If you would like to dine in the Oyster Bar, seating is on a first come first serve basis. Recommended by a friend. An absolute must if in Chicago. I can’t say enough about the service. Reuben was a great server. The ambience is amazing. The only thing that overshadowed the service and ambience was the food. Everything was of the highest quality and the execution by the kitchen staff was artistic. Can wait for our next trip to Chicago and Shaw’s!! I think Shaw's consistently has the best oysters in the city. My sister, brother-in-law, and nephew are in from New York for the Easter weekend. They love oysters and they were very impressed with the 4pm-6pm Happy Hour - they were half price! We had 6 dozen and they were fabulous. My brother-in-law was initially skeptical because he said they usually serve lower quality for Happy Hour. Not so at Shaw's. Granted there were only 2 choices but they were both top notch. Like I said, we had 6 dozen. 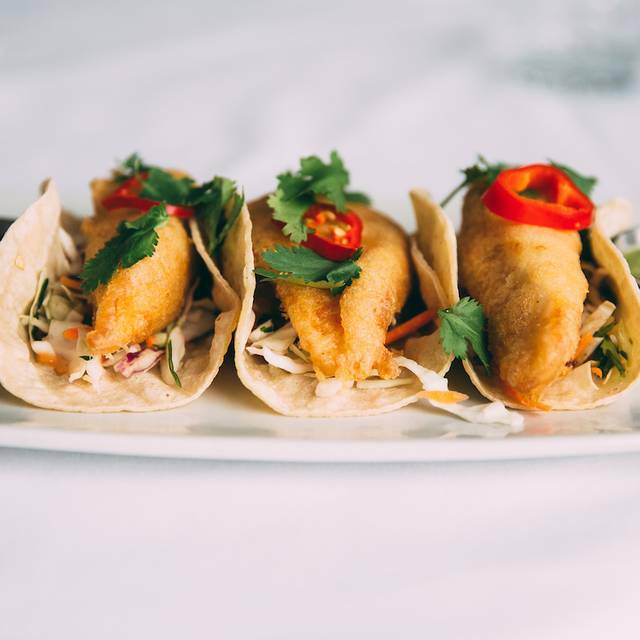 That was in addition to several orders of smelts, clams casino, fish tacos, scallops and beautiful French rose' wine. It was topped off with their housemade key lime pie. Shaw's is a no-brainer if you want consistent great service and high quality and delicious food. Also, we sat in the bar area which is more convivial but the dining room is good if you want a more subdued atmosphere. Fresh fish and seafood prepared to showcase the fish. Varied menu with many appetizer, side, and entree options. The spring salad was a fine mix of spinach, beets, toasted pistachios and cashews -delicious! 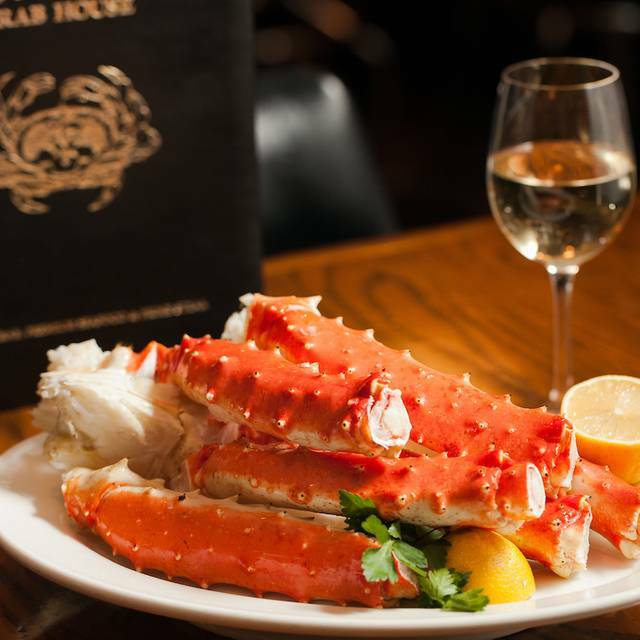 Attention to all areas of the menu only enhances what Shaw's is known for - a crab house. There are no longer restaurants with settings as fitting to their concept as this place. Returning reminds you that the world was once a more civilized place. Outstanding meal for Sunday Brunch. Freshest seafood outside of the coast. Great choices for those that want additional fare such as breakfast foods, scalloped potatoes, fried chicken and salads. I had very little of that - had instead delectable crab legs . Good Bloody Mary's, great ambiance and musical selections. Not too loud and can enjoy 60's Motown or 40's crooners. All around wonderful experience. We had the Sunday Brunch and it was amazing. Lahua was our server and she was the most attentive server we've ever had. The food is amazing. The crabcakes are to die for. The bisque and gumbo are wonderful. And the spicy tuna roll is incredible. Shaw's is a great place to go for a great place for dinner. I would recommend it to everyone. Try their key lime pie!!! We arrived a little early for our 8pm reservation, so we headed to the bar for a cocktail. 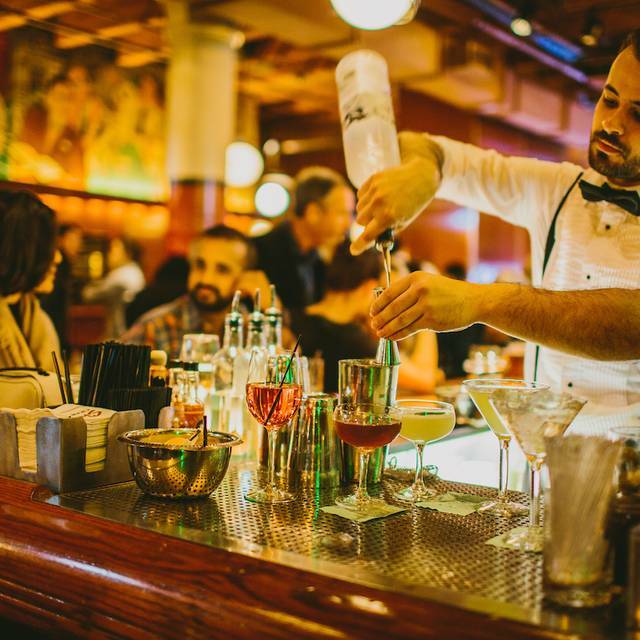 The bar is smallish for such a well known establishment, but didn't affect the quality of the drinks. Our table was ready right on time and we took our time with dinner. Our waiter, Kirk, was very good with helping identify things on the menu. We were able to spend the evening enjoying the food, wine and atmosphere without ever feeling rushed. This was our second visit to Shaw's and won't be our last. Dinner date with my 13 year old daughter. 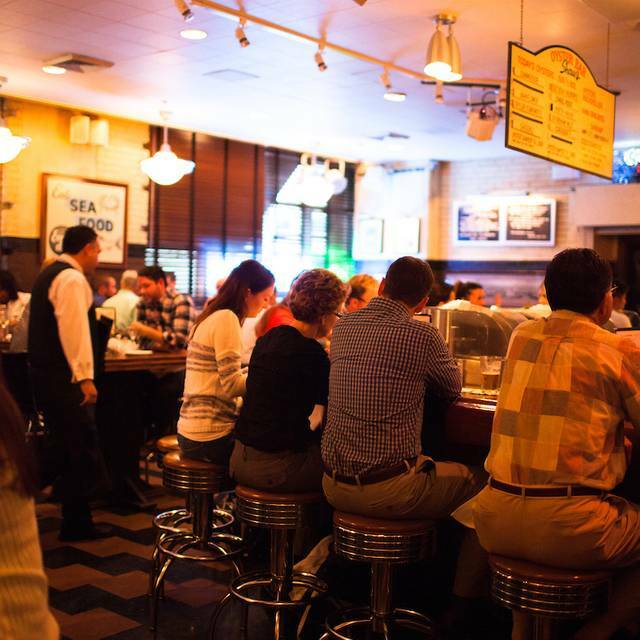 We especially enjoy eating in the Oyster Bar...for a more casual, great atmosphere. In my experience, the food and service are always excellent at Shaw's. I went for my birthday treat of a lobster because I heard they had the best. 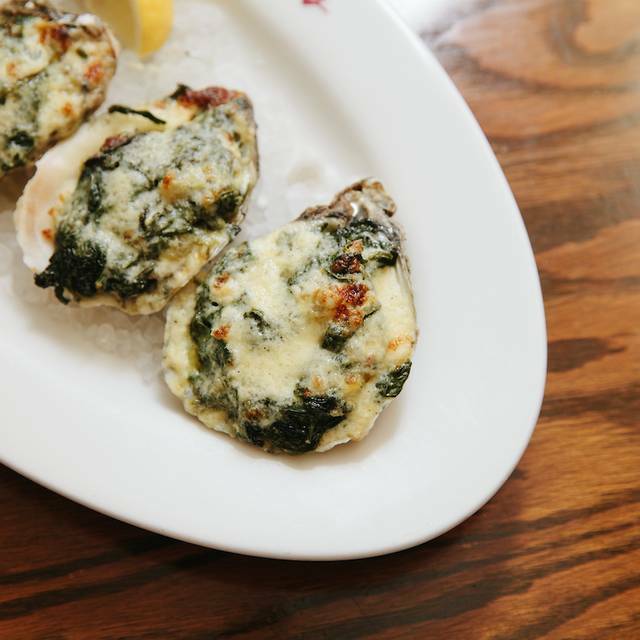 I first had their oysters Rockefeller which were out standing. But lobster time and I could have gotten a better lobster at Red Lobster. It was dried out and shriveled and completely disappointing. Very sad. It is always great and this was no exception. This place has an energy that is palpable but not overwhelming. The beautiful wood paneling, red leather booths, and well dressed wait staff feels like old school Chicago. Food and service are amazing. Great place for crab legs! Perfect for a special occasion. Outstanding as always! Food,service, and setting is classic. Our server was fabulous. She went above and beyond to see that we were happy and comfortable and had all we needed. Staff was incredible, food was delicious, extensive wine list, and the music and general ambiance made for a fantastic business dinner. Wonderful food great service. Enjoyed the matre’d and his stories when he seated my party. it's been awhile since we've been back, but definitely didn't disappoint service was great food was even better. Had the halibut pan-seared steak delicious. Server was prompt but not obtrusive. Scallops were fabulous. Dinner with my grandchildren before going to see Jersey Boys. Dinner, as usual, was outstanding in every way! I’ve been to Shaw’s a couple of times and the food is usually on the mark but this time my lobster was over cooked. I require steamed and it came out very chewy. I would have expected that dish to be served well but not on this occasion. Lobster tail was over cooked. Fillet was dry. Only got two little sections of king crab legs. For 108$ I thought I would get more crab and lobster and steak that were cooked properly. Lobster bisque was very good. Creme brûlée for desert was perfect. Great atmosphere but stay away from the trio if you want any kind of value. Occasion was Sunday Brunch. Food and service was great. Never even got to try all of the many options and will come back again some time to finish up. Made reservations and were seated on time. Restaurant was a little crowded but that stands to reason since Shaw’s is quite popular for Sunday Brunch. Will go again when in Chicago. I celebrated my birthday with my husband and close friends by starting the day with brunch at Shaw's. It was amazing! Totally set the bar for the rest of the day. I live in Houston but have eaten at Shaw's Crab House in Chicago three times in the last 6 months. Their food is excellent, the ambiance great and the service too. This was my first time to try the Sunday brunch though, and I have to say that if you are a seafood lover, this may be the best brunch out there; certainly the best I have ever had. 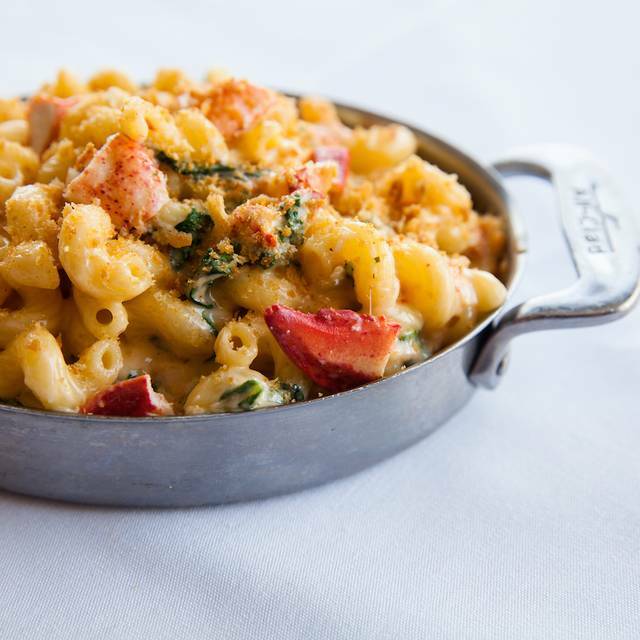 Bisque, gumbo, salads and ceviche to start with, and then great fried shrimp, crab cakes, lobster macaroni and cheese, parmesan crusted cod, raw oysters, steamed crab legs, prime rib and more, plus lots of different desserts to try if you still have any room in your belly at the end! With all the great food above that I normally do not get to eat for breakfast, I had no room to try all the traditional breakfast foods like bacon, eggs, sausage, hash browns, waffles, omelets and eggs benedict. So much great food! It had been over 25 years since we had eaten at Shaw's. It was better than we remembered. It was one of the best dining experiences we have ever had. Our, server, Meagan C. was very professional, efficient, and welcoming. She could not have been better. Of course, all of the seafood was outstanding and our grandson loved his 10 oz. filet. outstanding food, started with a wedge salad, moved on to lobster bisque (very good) then we had a crab cake sandwich (very good) and sampler platter- the waiter and the food was awesome, this place is very good!! The service was excellent. In addition, our server heard it was our daughter's birthday and our son just landed a new job, so they brought them each pieces of cake with "Congrats" and "Happy Birthday" written on them. While birthday cake at a restaurant is not unusual, the "congrats" piece was, and was nicely presented to us. Shaw's really knows how to treat customers well. They made our evening special and it was worth the price! 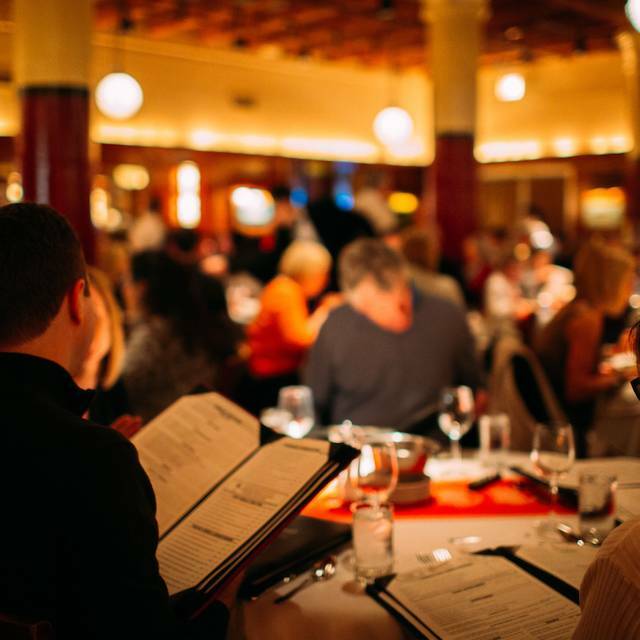 Shaw’s is one of our favorite places to dine when we visit Chicago. We love their perch! We brought some friends with us to dine a few days ago... after talking so highly of Shaws to them i assumed they would live up to our great opinion. However our friend was not happy with the halibut. She stated it was very plain and had no taste. She gave each of us a bite. It was just kinda blah... I personally don’t usually order that fish so wasn’t sure what it should taste like. Our perch was excellent as well as the au graten potatoes. ( another of our favorites! ) Our-bar drinks were great! Our service, as always, was super! This is still our go to place! The buffet was excellent! We enjoyed the variety and the wonderful service. Wonderful experience. Food was varied and delicious, service was impeccable, it was busy but felt serene, we were never hurried, we’ll worth the expense! Carlos was very friendly and knowledgeable on oysters. I would go there again just to hang out with him. It was quite noisy but I was looking for this kind of ambience. Our meal was absolutely outstanding. Our server, Amy, was one of the best servers I’ve ever had. She was thoughtful and witty and attentive. She made my birthday celebration special and one to remember. Bisque had good flavor but barley any crab meat which was disappointing. Oysters were very good. Nice that you can mix and match the different kinds. East coast ones are the best! King crab legs were the meatiest I’ve ever had. Totally worth it. Our table was actually two smaller ones pushed together, and had two different heights so we spilled a drink on the edge. They need to fix that. But Amy and support staff fixed immediately. Back room where we sat was a little outdated as far as decor but I don’t really mind a bit of old-school feel. Desserts and sides were very good. We will definitely be back and request Amy to be our server again. Great choice of food but wine overpriced. Food and service were superb. Shaw’s continues to live up to the high standards it established more than 30 years ago. The hot appetizer combination was the highlight of the meal. It had a variety of tasty appetizers. Unfortunately the quality of food went down from there. One of the entre (whitefish) was undercooked and the sauce of the other (red snapper) overwhelmed the flavor of the fish.